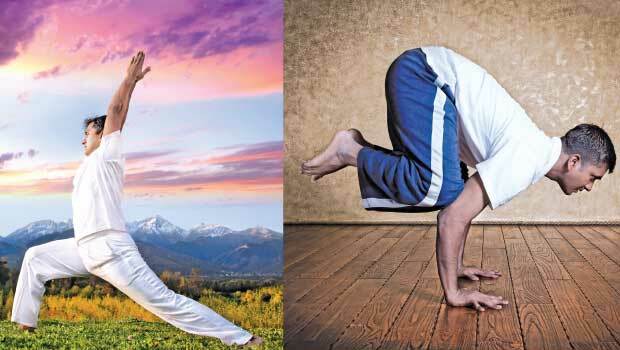 The fundamental behind all yoga postures is understanding of the body and breathing. Based on traditional beliefs, yoga should eventually lead to spiritual growth through the practice of individual and social discipline. It is being said that one’s spirituality level will increase as one practices yoga with complete knowledge of not just one’s physical postures but also the activities in all areas of their life. This awareness will effectively encourage self-analysis, self-realisation, and a desire to help others. Yoga begins by improving a person’s body and personality through asanas and pranayama as these benefits are what most individuals seek after all. Quite a number of individuals face challenges with concentration and meditation as their mind tends to wander and they get easily distracted. Meditation, which benefits the mind, will only become easier after one has achieved physical discipline. According to research, yoga is a form of therapy for many ailments. Yoga has the ability to control and manage a wide range of ailments, including anxiety, arthritis, asthma, back pain, blood pressure, carpal tunnel syndrome, chronic fatigue, depression, diabetes, epilepsy, headaches, heart disease, stress, migraine, and insomnia. Since no therapy is ever complete in itself, yoga is best combined with medical treatment. Based on research, yoga is also proven to promote a sense of well-being and peace as it creates a balance between the nervous and endocrine systems. Furthermore, it has an additional plus point as it is capable of being combined with other therapies. For instance, a patient suffering from hypertension, asthma or diabetes can practice yoga while proceeding with his/her medications. All the patient has to do is to consult his/her doctor to receive clearance and adjust the dosage if required. For patients who have undergone surgery or are bedridden and cannot perform any physical activity, meditation and deep breathing provides an alternative when they are lying in bed. This can assist them in dealing better with the pain as well as helping them to relax. Ultimately, yoga aims to perfectly co-ordinate the different body functions. At the same time, it can also improve one’s muscle tone, flexibility, strength, and stamina. Aside from the physical benefits, yoga also boosts self-esteem, improves concentration and creativity, lowers fat in the body, improves circulation and stimulates the immune system. For more on the healing power of yoga, check it out here. If you would like to learn more about yoga in Singapore, then sign up for one of our classes. OMG Yoga offers a variety of classes for you to choose from, so check our website for more details.